For those of you who know me, you know that I have several philosophies. One of them is that "You cannot manage what you do not measure." Therefore, you will read about methods for assessing adherence, because, otherwise, you will not know how severe the problem is or the specific causes that prevent patients with MM from taking their medications as prescribed. 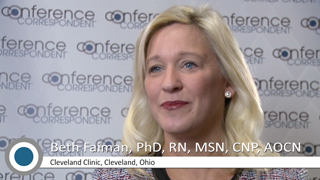 Barriers to adherence, interventional strategies for improving medication adherence, and adherence tools and resources are also discussed in detail. There is a great Health Belief Model that allows for better understanding of patient's motivations, beliefs, and barriers so navigators can facilitate appropriate adherence interventions. This model consists of 5 concepts, including perceived susceptibility, perceived severity, perceived benefits, perceived barriers, and cues to action. You will also read information on how to incorporate compliance to oral therapy into the daily routine of patients with myeloma. Cindy Chmielewski, a patient advocate and mentor, discusses challenges associated with oral oncolytics in patients with myeloma, how to overcome these barriers, and how to best support your patients. In another commentary, we provide information and words of wisdom by Deborah Christensen, RN, BSN, HNB-BC, an oncology nurse navigator. She explains how stressed patients are when they are dealing with a diagnosis like MM, which can result in the patient's inability to listen and process information. Just because patients nod their heads up and down does not mean they retain anything. Oncology nurse navigators, however, have a proven track record of being some of the most trusted people in the eyes of their patients. Patients will confide in naviga- tors the difficulties they are experiencing with taking their medications as prescribed. This, in turn, allows the opportunity for a successful intervention. We know this type of information will enable you to better support your patients and treat them more effectively. We must make sure patient's responsibilities to take their medications as prescribed can happen consistently, confidently, and easily.